The Coega Development Corporation (CDC) is a state-owned enterprise (SoE) in terms of the Public Finance Management Act (PFMA), based in the Nelson Mandela Bay Municipality with operations throughout South Africa. The corporation is mandated to develop and operate the 9 003 hectare Coega Special Economic Zone (SEZ), which was established in 1999. 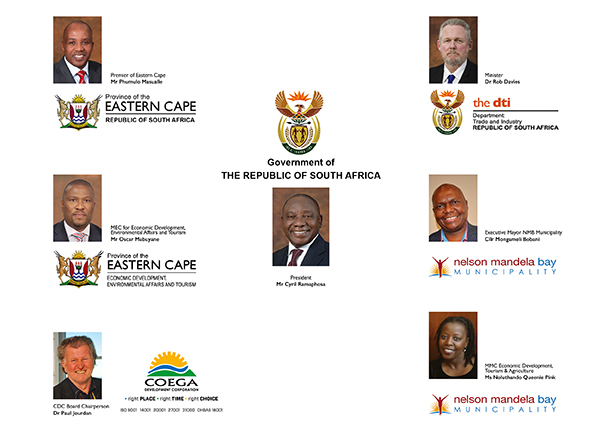 The Coega SEZ was gazetted by the Minister, Dr Rob Davies (Government Gazette No. 40883 on 2 June 2017) in terms of section 39(2) of the SEZ Act No. 16 of 2014 ("SEZ Act"), replacing the (Government Gazette No. 21803 of 1 December 2000) in terms of the Manufacturing Development Act No. 187 of 1993. The CDC’s vision is to be the leading catalyst for championing of socio-economic development. 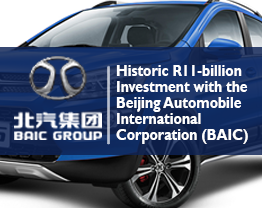 Its mission is to provide a competitive investment location, supported by value-added business services that effectively enables socio-economic development in the Eastern Cape and the rest of South Africa. In the 19 years since its establishment in 1999, the CDC has become South Africa’s most successful SEZ and has matured to become one of the biggest drivers of job creation and development of the Eastern Cape economy. It is purpose-designed following the cluster model, which strategically positions related and synergistic industries and their supply chains in close proximity to one another in order to maximise efficiency and minimise turnaround times.